Burials at sea are not just reserved for sailors and salty old sea dogs. Although many people who are buried at sea are former sailors or navy personnel, there is no need to have a maritime connection. Anyone can be buried at sea as long as the person arranging the funeral has a license. Licenses cost around £175 and are available from a government department called the Marine Management Organisation (MMO). While the British tradition of burial at sea is a unique and hugely moving and memorable experience, there are a number of regulations you need to be aware of. Applicants must provide the death certificate, a certificate from a doctor stating that the body is clear of fever and infection and you need to also provide a notice to a coroner of your intention to “remove a body out of England”. You must also make sure that the body of the deceased isn’t embalmed, for environmental reasons, is lightly dressed in biodegradable material and has a durable identification tag. Where can you get buried at sea? There are just three designated burial sites in English coastal waters. They are at Newhaven in East Sussex, The Needles Spoil Ground near the Isle of Wight and Tynemouth, Tyne and Wear. These locations were carefully chosen based upon tidal changes, currents and trawling routes. What will I need for a sea burial? Contrary to popular belief, coffins are required for a sea burial and there are strict guidelines on the construction and materials used in the coffin. The MMO specifies the coffin must be made from solid softwood and contain no plastic, lead, copper or zinc. This is to make sure it biodegrades and also to protect against contamination. Additionally, to make sure the coffin sinks quickly to the seabed and stays there, a series of 50mm holes must be drilled into it, and a 200kg (440lb) weight needs to be clamped to the base. If you have naval connections, you should know that the navy conducts its own burials at sea, for those veterans who wish to be buried at sea. For more detailed information, contact the chaplain at the naval base from which the dead person served. 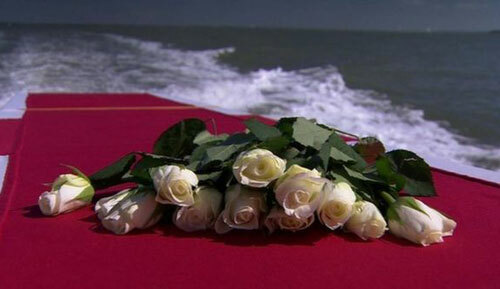 One other consideration for sea burials is that you need to make sure that the boat you charter is big enough to carry the coffin and those attending the committal. If a service of some form is to take place, bear in mind that if the waters are a bit choppy, the boat will probably not be the most comfortable place to be, and so either on shore prior, or after committal, is probably a better bet. If this guide has got you thinking where should you turn to next, you should know that there are specialist funeral directors who will organise a sea burial; and there are organisations that specialise in maritime burial including the Maritime Volunteer Service charity. Some people think graveyard and cemetery mean the same, but a graveyard is a type of cemetery, and a cemetery is usually not a graveyard. Although the words graveyard and cemetery are often used in the same context in everyday speech, there is a subtle difference between the two terms. To understand the difference between a graveyard and a cemetery, we need to go back in time. 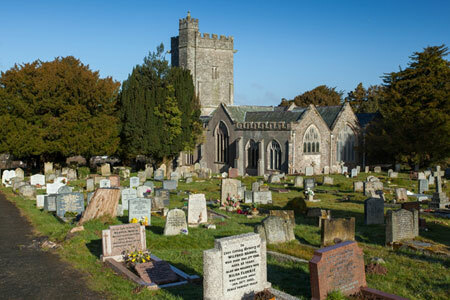 From about the 7th century onwards, the process of burial was very much the responsibility of the Church, and burying the dead was only permitted on land near a church, which was known as the churchyard. The part of the churchyard used for burial was called the graveyard, as it was quite literally a yard with graves in it. As the population of Europe grew, the capacity of graveyards was reached and by the beginning of the 19th century, the unsustainability of church burials had become apparent, so completely new places for burying people, independent of the graveyards, appeared, and these were called cemeteries. Where did the word cemetery come from? It actually comes from the old French word cimetiere, which translates oddly enough as graveyard. The French word originally comes from the Greek word koimeterion, which means “a sleeping place”. So, broadly speaking, graveyards are on land owned by the church, and are typically attached to a church or a chapel. The Christian Church would usually stipulate that only Christians could be buried within the grounds and local nobles and the wealthy were sometimes buried in crypts beneath the church itself. 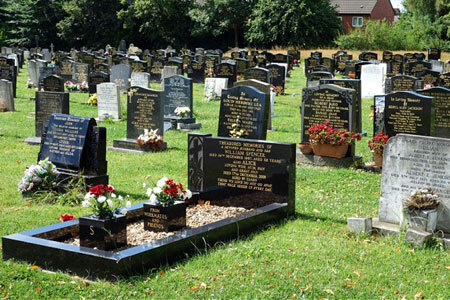 Cemeteries, on the other hand are generally run by private companies or the council and are normally open to all faiths and have more relaxed rules regarding headstones. Another subtle difference between a graveyard and a cemetery is that people’s bodies are buried in graveyards; whereas in a cemetery, it is possible to bury an individual’s ashes as well.